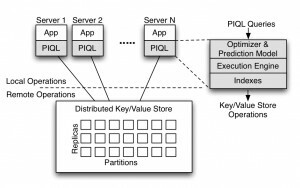 PIQL is a SQL like language that uses a new scale independent optimization strategy to execute relational queries while maintaining the performance predicability and scalability provided by distributed key/value stores. Scale independent optimization guarantees that all queries will perform a bounded number of storage operations independent of the size of the underlying database. PIQL employs language extensions, query compilation technology, automatic materialized view selection and response-time estimation to provide scale independence. More details can be found in our VLDB2012 paper. 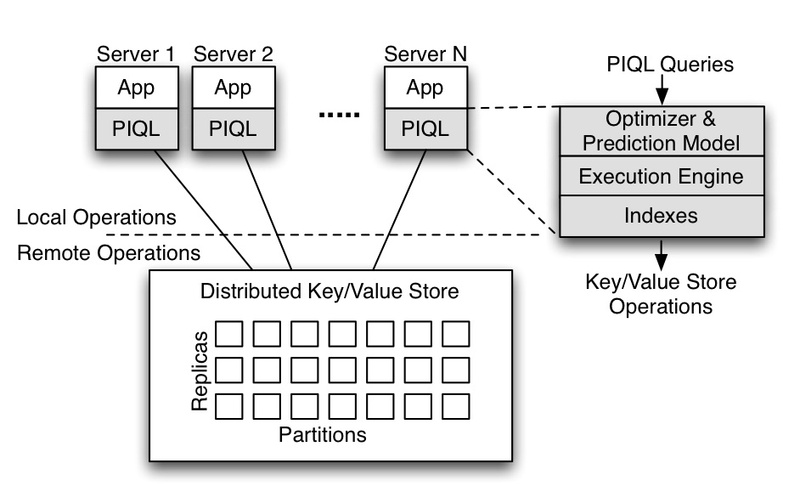 PIQL is implemented as a library that interacts with a distributed key/value store.